Fifteen of the best loved Vineyard Music classics presented especially forchildren! Now children can share in the rich encouragement and spiritualrefreshment of songs like The River is Here, We Exalt Your Name, Isnt He,Gloryand more. 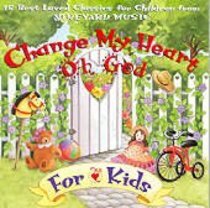 About "Change My Heart Oh God For Kids"